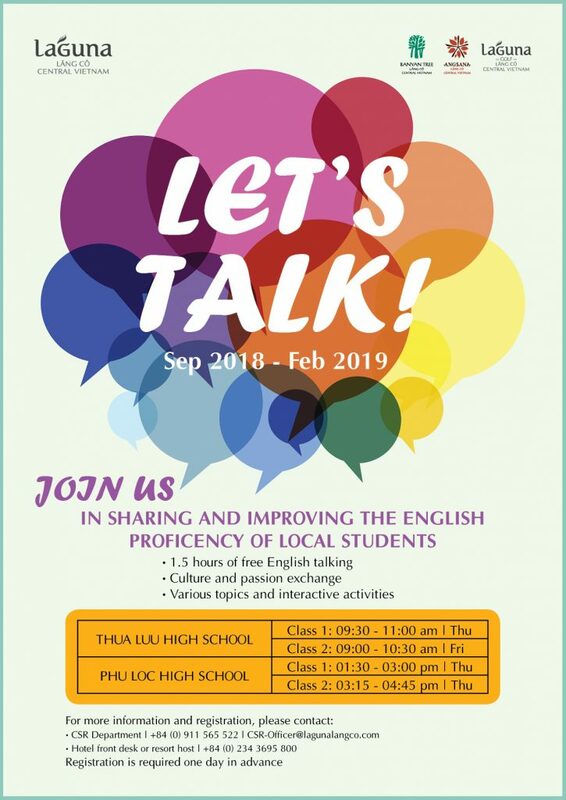 “Let’s talk” is a new initiative of Laguna Lăng Cô, which aims to improve the English proficiency of high school students and build their confidence in speaking English, carried out in a friendly English-speaking environment. Each week, different topics and activities are provided for discussing and stimulating practicing English more frequently. For the long term, the project also aims to alow our students to experience global diversity via their interactions with people from countries across the world, and offer our young adults the opportunity to gain better quality jobs, thank to their increased language proficiency. 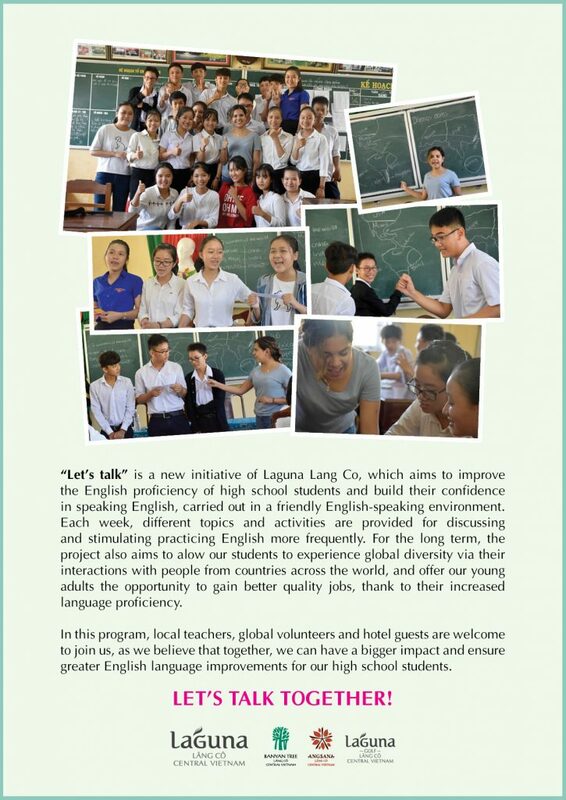 In this program, local teachers, global volunteers and hotel guests are welcome to join us, as we believe that together, we can have a bigger impact and ensure greater English language improvements for our high school students. Be part of Laguna Lang Co’s effort in giving back to the communities !